When your business has outgrown your current managed hosting provider, the logical thing is to search for something better. Change can be difficult and chaotic, but it doesn’t have to be. 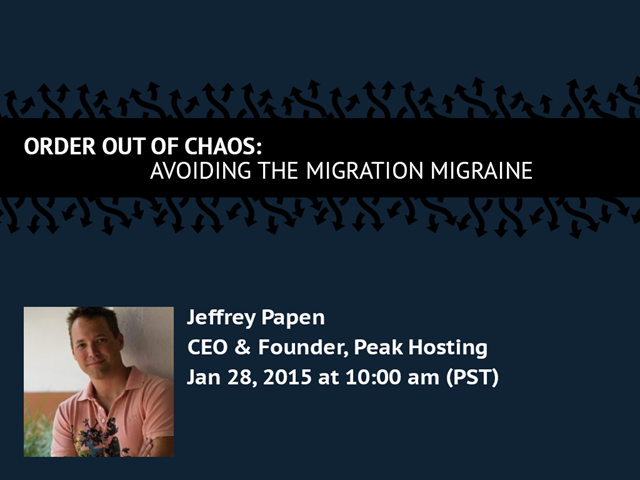 This webinar focuses on best practices for making your migration from the cloud as pain free as possible, including a discussion on what you need to know and ask of your migration provider to ensure it goes smoothly. As an example of this, we will outline Peak Hosting’s migration process, as well as discuss one of our customer migrations and why they chose to undertake it.